Arkansas Winds is a non-profit community concert band in Northwest Arkansas made up of volunteers. We perform throughout the year in our local communities bringing good music to the Northwest Arkansas area. Each of our performances is very unique and well put together by our director, Micheal Ferguson. Please feel free to visit our website here. To keep up with us and our upcoming community band events and concerts send an email to info@arkansaswinds.org. If you are interested in joining check out our website or come to a rehearsal. We rehearse Mondays from 7:00-9:00pm at Farmington Performing Arts Center. Hope to see you at a one of our concerts! Let me know if your coming! Imagine walking through a 3 story maze of a school; hearing clarinet doodles from every direction. Each hall giving way to rooms filled with nothing but clarinets, music, reeds, and all things clarinet. That is exactly what the 2016 Clarinet Festival in Lawrence, Kansas felt like. The Festival, hosted by The International Clarinet Association(ICA) this last August. 5 days filled with competitions, concerts from international musicians, and lots, and lots of clarinet venders. The amount of clarinets I’ve seen in my life more than doubled. For a High School Clarinet Major pursuing a career as a musician, this was heaven. I heard about Clarinet Festival from my private lessons teacher, Professor Nophachai. He knew I was looking to buy a new clarinet to take to college with me when I graduated and this seemed the perfect opportunity for me to see a wide range of instruments, decide which ones I liked and disliked, and get the best deal possible. I have been playing on my Buffet E11 for years now. It was an amazing instrument to start on, but I was ready to take the next step. After all you can only ever be as good as your equipment can allow. I originally went to Clarinetfest thinking I would come home with a brand new Buffet R13. I couldn’t have been more wrong. Because the clarinet fest landed on a school week I could not participate Wednesday through Friday, but Professor Nophachai took the time to test and pick a few of his favorites for me to check out when I came down on Saturday. Throughout my one day at Clarinetfest, I learned so much about clarinet. 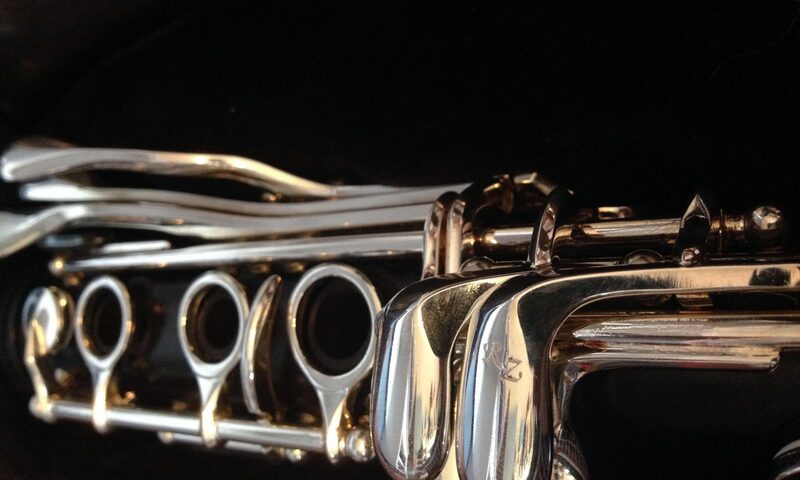 I had never been asked to describe how it felt to actually play a clarinet, how I liked the sound or the feel, or to compare it to that of another clarinet. But I quickly learned what I liked and didn’t like. Resistance quickly became the word of the day. I tried many different Buffet Clarinets including multiple R13’s, Festivals, and RC’s all while getting some minor free repairs done on my E11. After switching back and forth between so many clarinets, they all seemed to run together and feel about the same. Deciding which sounded the darkest or brightest became a challenge. That when my lessons teacher brought me to to RZ Woodwind Manufacturers vender. I was very skeptical at first, because I had never heard of RZ Woodwind Manufacturing before. RZ Woodwind Manufacturing is a company that makes handcrafted Czech instruments. At the RZ booth, Nophachai introduced me to the cofounder of the company and principal clarinet player of the Czech Republic, Milan Rericha. Milan had performed a recital earlier during the festival that I had missed so he picked up one of the clarinets and just started playing for me. I had never seen someone pick up a clarinet and just start playing a long and complicated clarinet solo. He made it look so easy. After trying the new RZ Bohem, the decision of which clarinet I’d go home with became easy. Milan got me all set up with my new clarinet, 3 barrels, a new BAM case, a silk triangle swab, and an autographed copy of his new album. After visiting all of the vendors including Pereira 3D printing, Clarineat Podcast, and all of the reed companies. Towards the end of the day I went to the Silverstein Works concert including Milan Rericha, Rocco Parisi, Steve Silverstein, Raphael Sanders, Jiung Yoon, and many other Silverstein artists. It was an amazing concert with so many talented musicians. I had never seen a concert done with only clarinets and clarinet repertoire. I took the liberty of taking videos of parts of the concerts so that I could share them with you all. Check them out on the Videos page. Overall Clarinetfest was a blast. I met so many new people and got a ton of free stuff! Free , CD’s, music, water bottles, and lots and lots of free reeds. But most of all I got to listen to amazing clarinetists from all over the world. I am looking forward to going to the 2017 Clarinet Festival in Orlando, Florida this summer.